I know it's frustrating and difficult CW and it can help to blow off steam, but you know we don't advise contacting anyone in these cases. I wouldn't want to see you get into trouble. Oh, okay CW. Whew! I was a bit worried for a minute. Thanks for clearing that up. Sheriff’s investigators, 12 Upper Pine Fire responders, and a County Road and Bridge backhoe were at Middle Mountain Campground on the back side of Vallecito reservoir Tuesday in the ongoing search for Dylan Redwine. It was a follow-up to several days of sonar and cadaver dog searches organized by the Hope for Dylan Redwine organization. The Tuesday search was on the shore and just off-shore. Upper Pine Fire responders put a cofferdam around the location and pumped water out, Bender said. The backhoe was in case any tree stumps needed to be removed, he said. Dog alerts prompted this search, he said. Dogs have given alerts at various places that investigators have followed up on since Dylan disappeared. “What we’re doing this afternoon is just part of our ongoing investigation,” Bender said. Investigators are going door to door again looking for information. 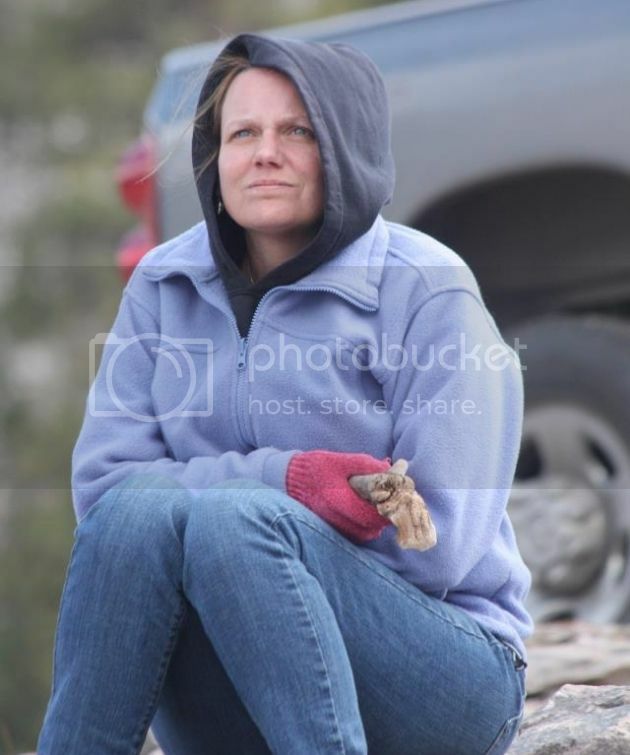 “We’ve never stopped looking for Dylan, even over the winter,” Bender said. Investigators followed up on tips, sometimes going out on snowshoes. Denise Hess, who has coordinated much of the civilian search for Dylan since he disappeared in November, told the Times this week that Dylan’s family and the Hope For Dylan Redwine organization spent the better part of this past winter researching the best way to search a lake. Vallecito’s altitude and depth limits divers to a 20-minute dive time every eight hours, she said. The latest search used a technology called side scan sonar as well as cadaver search dogs. Hess said a recognized expert in side scan sonar, Gene Ralston, contacted her on Facebook the same day that others recommended that she contact him. That was in March. The lake was still frozen over then. With the lake now ice free, the sonar search started last Friday and continued to Tuesday afternoon, Hess said. Dog searches also resumed in conjunction with the sonar searches. Hess said Hope for Dylan Redwine contacted the cadaver dog team best suited for their needs and flew in a handler and her dog that is specifically trained and certified on cadavers, but especially recognizes the scent of human remains on water. 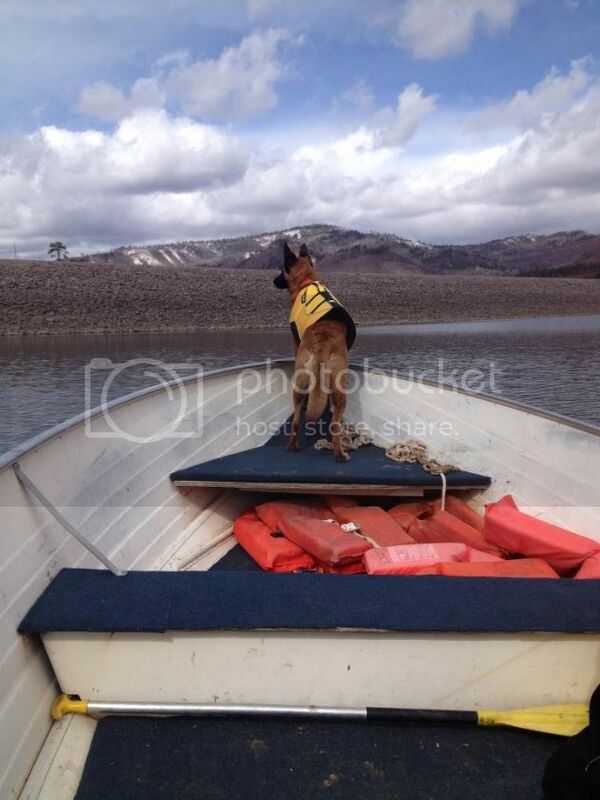 The canine team arrived Tuesday, April 16, and with the assistance of a boat donated by Doc’s Marina began searching Vallecito lake last Wednesday morning. The dog began indicating in areas along the mid eastern side of the lake in the water and the shoreline, Hess said. The team also indicated in areas along the southeastern shoreline and light indication at the dam in the area that teams had indicated last November in the first searches for Dylan. Last Thursday, the dog team spent the day on the water in an attempt to narrow down the indications in relation to the winds that were blowing, and rule out any other areas of the lake that might indicate a human remains odor, Hess said. Last Friday, the Illinois canine team did one final check on the very south side of the dam in the waters that come out of the power plant, and the dog indicated that a human remains odor was present, Hess said. Local resident Roy Vreeland’s dog searched the same stretch of shore, and again the dog indicated the odor of human remains, Hess said. Vreeland and his dog also helped with the early search in November. Also last Friday, Ralston, his wife Sandy and a third member of their team arrived in the early hours and began the process of getting their boat cleared to place on the lake. The sonar team was able to spend a few hours on the lake before high winds made things difficult. Last Saturday the sonar team was able to spend most of the day on the lake scanning the lake bottom in the areas that the canine team indicated. To accurately scan the lake bottom, the boat must move at a speed of about three to five miles per hour in tight grids. Sunday the team was able to get on the water fairly early and spent a large portion of the day scanning near the dam. Hess said the scan picked up something odd on top of the grate that covers the drain for the power plant. 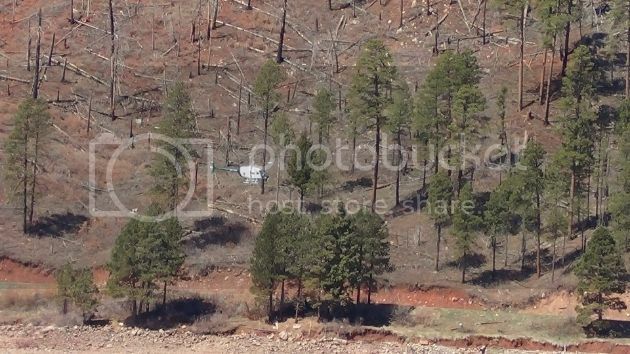 Also on Sunday, law enforcement brought a helicopter from San Juan County, N.M. that flew low over the lake for about an hour. Right now the lake water is low and clear, Hess said. Monday after reviewing the photos of the scans from Sunday, Hess said it was decided that the sonar team would put the ROV (remotely operated vehicle) in the water to see what was on the grate. The ROV equipped with a video camera was launched in the southwest corner of the dam and descended nearly 60 feet to the drain where it discovered large logs, sticks and rocks atop the grate. The team spent the remainder of the day on the mid eastern portion of the lake that the dogs had highly indicated on, Hess said. On Tuesday after checking the shoreline where the dogs had indicated “hard hits,” law enforcement representatives decided to excavate a portion of the shoreline to make sure something wasn’t buried. They began building the coffer dam and the sonar team did additional scans on the water from east to west in that area of the lake before high winds once again drove them back to the marina. Hess said law enforcement continued digging on Wednesday but apparently didn’t find anything. The dog is trained to respond only to cadaver scent, and she gets very excited, Hess said. Hope for Dylan Redwine funds paid travel, food, lodging, and other expenses for the visiting sonar and dog search teams. They donated their labor, Hess said. 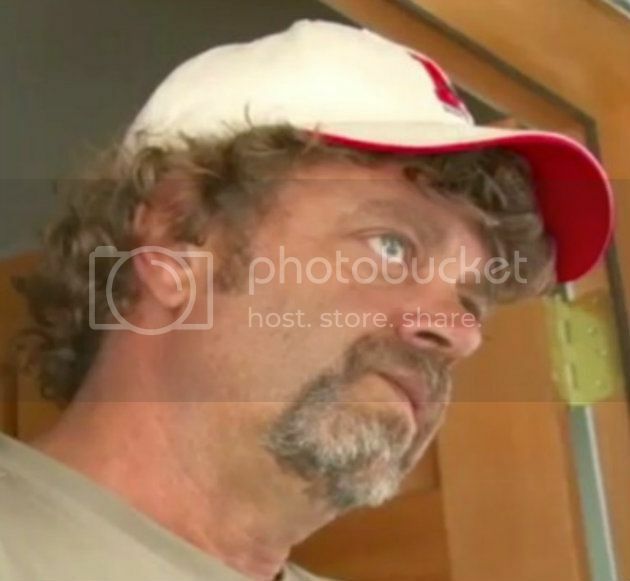 Denise Hess said that Gene Ralston, an environmental consultant who specializes in water related environmental issues, has frequently volunteered his equipment and time to assist the Idaho Mountain Search and Rescue Unit, local and national authorities in searching for drowning victims. In early 1999, Ralston had the opportunity to experience the successful use of side scan sonar to search for a drowning victim, Hess said. Recently, side scan sonar systems have been developed using medical ultrasound technology to dramatically increase resolution of targets such as drowning victims. The technology makes it possible to search for drowning victims and other objects under water, including being able to search a large area quickly and safely. Divers are not placed at risk during the search operation and are only deployed for the recovery once the object is found. Side scan sonar images also are useful to evaluate any hazards to divers before they enter the water. Hess explained that the side scan sonar system's transducer is housed in a “towfish,” which is towed through the water a few feet above the bottom. The reflected acoustic returns are processed into an image similar to an aerial photograph, which is viewed real-time on a computer monitor in the towing vessel. Typically, the side scan sonar searches a swath 60 to 160 feet wide at about two miles per hour, although other ranges can be used depending upon the size of the object being sought, Hess said. In the cases where the last location of the drowning victim or homicide victim is not known, Ralston recommends the use of cadaver dogs to locate the scent of human remains on the water. Ralston recommended a few trusted canine teams that he has worked with in the past. Darn... It sounded so promising that something would be found. 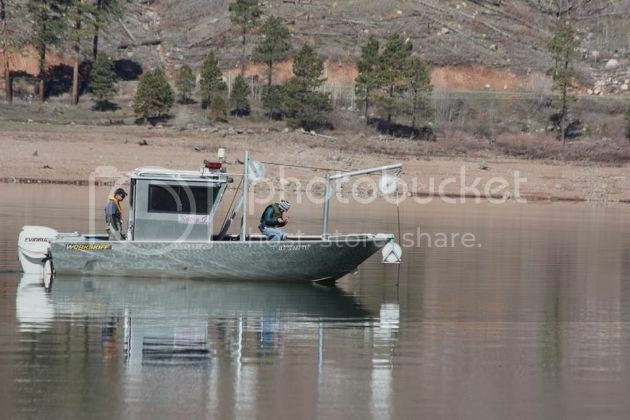 DURANGO, Colo. - A two day search at a reservoir in southwestern Colorado turned up nothing in the investigation into what happened to Dylan Redwine. The 14-year-old boy has been missing since Nov. 19. He disappeared while spending a court-ordered Thanksgiving week visit with his father in Vallecito, near Durango. Search dogs picked up a scent along the reservoir shoreline over the weekend. That prompted the two-day search below Middle Mountain Campgroud. Crews built a dam and drained a section that was 20 feet long and reached 10 feet in the water, according to the Durango Herald. But they found nothing. "We’re satisfied that we thoroughly checked that spot," Dan Bender, spokesman for the Sheriff’s Office, told the newspaper. "We have had canine alerts at multiple locations around the lake throughout the winter," Bender told 7NEWS. "They have all been negative." Bender said investigators are exhausting all their possibilities. The dogs appear to be hitting on a scent of a body...could a body be "stuck" on something in the water? Near the dam? This is the Team that came to Vallecito. They gave a week of their time to look for Dylan. Thank you Gene and Sandy Ralston. 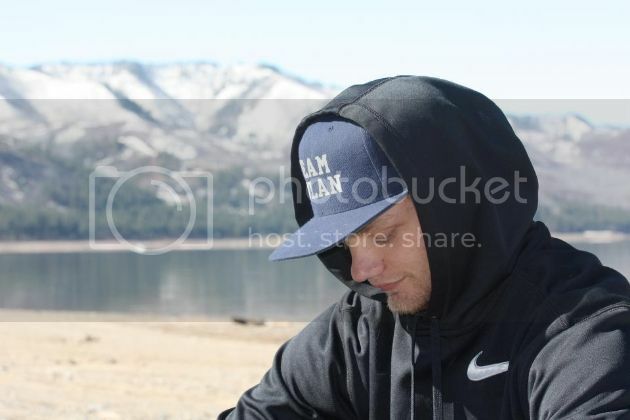 Cory Redwine waits patiently on the beach for a helicopter from San Juan County to arrive and fly over the lake looking for clues in the disappearance of his younger brother Dylan. 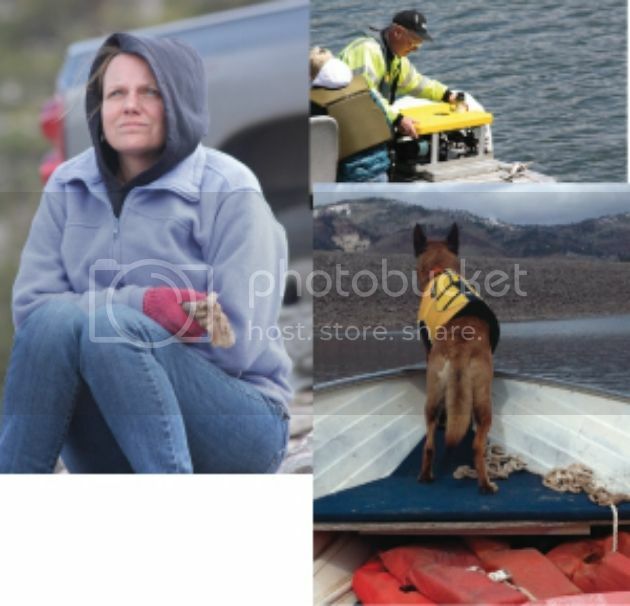 Elaine Hatfield watches pensively from the dam at Vallecito Lake as a boat with hi-tech side scan sonar searches the lake bottom for a body. Hatfield has not given up hope that her son Dylan Redwine is alive somewhere. Denise Hess, Michael Hall, Sandy Ralston, Gene Ralston and Kathi Barry in front of the Kathy G. before the team leaves to return home to Idaho. Volunteers and family were frustrated but relieved that there were no signs of Dylan but feel confident they have made strides in the search. A San Juan County Sheriff’s office helicopter flew low over the lake for about an hour last Sunday, searching the lake and shorelines for any sign of missing Dylan Redwine. This dogs credentials ~ She's better educated than most people I know....And she did an incredible job! I think this kid is alive. Someone knows something. A search for the body of a missing Monument boy using high-tech sonar eliminated some areas of a high mountain lake where cadaver dogs alerted to the scent of human remains. But Vallecito Lake hasn't been ruled out completely, said Denise Hess, who is leading a search of volunteers for Dylan Redwine. Bad weather didn't help, she said. The search last week was hit with high winds and snow, and the entire lake was not searched because of limited funds. The team from Idaho did the search at no charge, but expenses had to be covered. 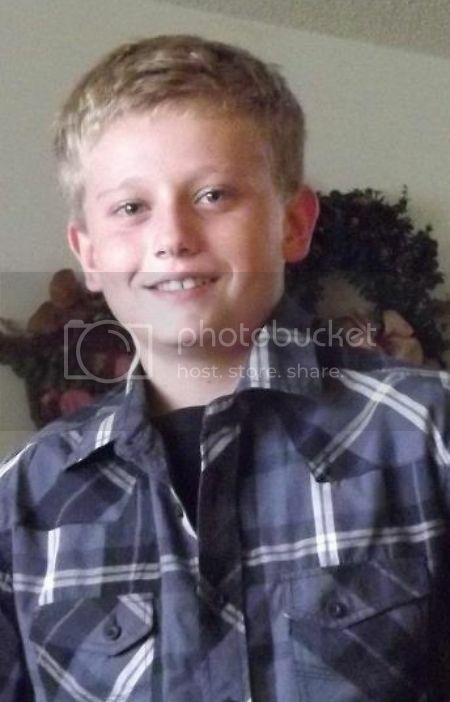 Redwine, 14, disappeared from his father's home in the rugged Vallecito area in the southwest part of the state Nov. 19, 2012. The search was done under wraps to keep from drawing media attention and prevent anyone who may have known the location of a body from moving it, Hess said. 'The conclusion for us is that in the areas of the lake that we searched, we feel confident there is no body there, ' she said Tuesday. Hess said more dogs will be brought in as searchers try to narrow down spots a body might be found and the weather improves. Gene Ralston, a member of the team that did the search, said he is '95 percent sure ' that there was no body in the two areas they searched. 'There's always a chance that he is there and that we missed him, ' Ralston said. The areas searched were along the dam and outlet and near a stump where human remains were detected by dogs. The lake, he said, was not particularly difficult to search. 'The bottom is really clean, except for the occasional stump and woody debris. For the most part, it is very clean, ' Ralston said. Ralston said the team is not expecting to return unless new clues indicate other areas of the lake in which a body might be found. But he urged the local group not to give up. Does anyone know where Mark Redwine is employed? I recall someone stated he traveled a lot. United Pipeline Systems out of Durango is the last employer information I've seen.